A vocal set of Christians believes that the book of Genesis requires the age of the universe and Earth to be something like 6000 years. This belief is being reinforced by the release last year (2017) of the documentary Is Genesis History?, which was narrated by Del Tackett, and produced by Thomas Purifoy. The film is very well-made, and will undoubtedly be shown in numerous churches, youth groups, Christian schools, and home schools for years to come. Thomas Purifoy recently published an article entitled Six Reasons Reformed Christians Should Embrace Six-Day Creation at Challies.com, the influential website of Reformed blogger Tim Challies. Purifoy concludes his article by saying that “6-day creation is the only longterm viable option for Reformed theology.” I also write from within the Reformed, and larger Reformation, community. There are many inerrancy-affirming, theologically-conservative, highly-qualified, Reformed scholars and pastors who disagree with Purifoy’s conclusion about young-Earth creationism being the only viable option for our theological community. 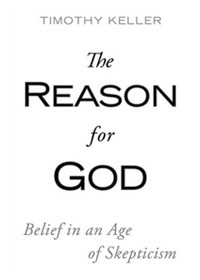 I have drawn from the work of many of these pastors and scholars over the past four decades, and hope in this essay to show that one can be true to both the Word of God and to Reformation theology, and come to the conclusion that Earth may indeed be far older than 6000 years. In his article, Thomas Purifoy gives six theological reasons for embracing young-Earth creationism. Four of the following section headings are identical in wording to those used by Purifoy in his article; two of the headings have been slightly modified. It should not be surprising that I, as an old-Earth Christian with deep roots in the Reformation, have almost identical statements as Thomas Purifoy regarding our theology of creation. This is because the age of the universe is a secondary matter, and Reformed young-Earth creationists and I have much more in common in regards to our theology than those points that divide us. Thomas Purifoy had his heading worded a little differently for his first point in his Challies.com article – “God’s Goodness Must Be Reflected in the Original Creation.” I could have used the same wording, but I decided to expand the concept a bit. In Genesis 1, God does indeed pronounce his creation to be “good,” and even “very good.” There is a bit of discussion among commentators about what exactly is meant by “good” in the opening passage of Genesis (1:1-2:3). Is this goodness the same as perfection, or is it a goodness of purpose? Young-Earth creationists often portray this goodness as meaning perfect in every way, without anything that we would consider to be a flaw. The pre-sin world is regularly depicted as being a gentle world, overflowing with abundance, and where the overall system is mature and complete, with no hint of anything in the least bit deadly or dangerous. The entire Earth is described in this young-Earth scenario as if the entire world were the garden of Eden. This perspective minimizes the fact that Genesis 2 portrays Eden as a limited sanctuary in Mesopotamia, with the world outside of the garden as a wild place in need of being subdued, or brought under the dominion of the newly-appointed viceregents over creation, Adam and Eve. This wildness implies lions and tigers and bears, not just bunnies and cuddly puppies (or domesticated, friendly Tyrannosaurus rexes). Perhaps the Earth of Genesis 1 wasn’t quite as tame as the young-Earth advocates believe it was. Like Aslan in the Chronicles of Narnia, the creation was good, but not necessarily tame or safe. There is a clue in Genesis 2 that helps us narrow down the meaning of the goodness spoken of in Genesis 1. In 2:18 we are told that there was something “not good” in the creation: that the man was alone. This certainly indicates that the goodness in Genesis 1 is not the same as moral goodness; it was not immoral or evil that Adam was alone. It may also mean that the goodness referred to is not the same as perfection. In other words, something can be good in God’s eyes even if it is not yet perfect. It seems then, that the goodness referred to in Genesis 1 is a goodness of purpose, not a moral goodness—though God is morally good—nor a goodness of perfection. God saw that the creation was very good for the plans he had in mind. That this goodness in Genesis 1 means something other than what young-Earth creationists claim is amplified by what the rest of the Bible teaches about the goodness of creation. We see in Psalm 19:1-6 that the heavens still declare the glory of God. In Acts 17:17, God’s present goodness in creation is revealed in his providential provision of rain and crops. In Romans 1:19-20 the creation still fulfills one of its purposes in that it declares God’s attributes, so that people are without excuse when they deny him. Paul, in 1 Timothy 4:4, declares this ongoing goodness of creation even more explicitly: “For everything created by God is good.” None of these biblical claims would hold true if the creation didn’t still retain a significant amount of its goodness even after Adam’s fall into sin. If our world in its present state can be described by God as being good, then there is nothing to stop God from considering the pre-Adam world as being good and ready for his redemptive plan as well, even over a period of many millions of years. In the Challies.com article, this was stated as “Adam’s Sin Resulted in Universal Corruption and Death,” which goes well beyond what the Bible itself says about death in the natural world. As an old-Earth Christian, I believe in a real Adam who committed a real sin which brought spiritual and physical death to the human race. The Bible nowhere states, however, that animal death is the result of human sin. The relevant passages (in Genesis 3:14-19, Romans 5:12-17, Romans 8:19-22, and 1 Corinthians 15:21-28;35-57) all make a connection between Adam’s sin and human death, but none of these passages tie animal death to Adam’s sin. Because of this, we cannot say with theological certainty, as Purifoy does in his article, that the fossils in Earth’s crust are a testimony to God’s judgment on human sin. The fossil record is simply not a topic the Scriptures address. The Bible is silent on the topic of animal death before the fall, and does not even say that animals were created to be immortal. Instead we see in the Scriptures that carnivorous activity is a normal part of God’s good creation. In Job 38:39-41 and Psalm 104:21-22 (which is a re-telling of Genesis 1 in poetic form), God is the one who provides food for the predators, with no hint that this is evil or something less than good. We may cringe a bit when we see a cheetah take down a gazelle in a documentary, but there is no sign in the Bible that either God or the ancient Hebrews viewed predator-prey relationships as evil or as the consequence of Adam’s sin. The “universal corruption and death” dogma is often stated as one of the prime biblical arguments for a young Earth, and yet this doctrine is neither “expressly set down in Scripture” nor may it be “by good and necessary consequence deduced from Scripture” (Westminster Confession 1.6, slight grammatical rewording). Despite this, young-Earth creationists often hold this “no animal death before the fall” teaching forth as a litmus test of Christian orthodoxy. My wording of this third point is identical to how it was worded in Purifoy’s article. The content and truthfulness of the gospel does not depend in any way on the age of the Earth. In his article, Purifoy suggests that the miracles of Jesus, and the future redemption of the creation, point both back to the original creation and forward to the upcoming new creation. There is no problem with this in itself. But then he states, “For the bookends of creation to match, they must be mirrors of each other. This is only possible with 6-day creation.” There are many connections between Genesis 1-2 and the final chapters of the Bible, Revelation 21-22, but I am not sure that Purifoy’s “mirroring” can be supported from Scripture. There are not only many parallels between Genesis and Revelation, but a number of contrasts as well. In Genesis, the world is immature; in Revelation, the world is mature. In Genesis, the world is pregnant with possibilities; in Revelation those possibilities have come to be. In Genesis, the couple is naked; in Revelation the multitude is clothed in Christ’s righteousness. Genesis has a garden; Revelation a city. It is not necessary for the New Jerusalem to be a mirror of the Garden of Eden (though there are important parallels), so there is no need to have matching bookends, and the declaration of “only possible with 6-day creation” falls apart. Again, my wording of this point is the same to how it is worded in Purifoy’s article. As the Westminster Confession of Faith puts it, “The infallible rule of interpretation of Scripture is the Scripture itself” (1.9). The rule of letting Scripture interpret Scripture does not necessarily lead to the conclusion that Earth is only 6000 years old. Even a straightforward comparison of Genesis 1 and Genesis 2 should be enough to tell us that at least one of these texts is meant to be taken as something less than a completely literal passage. This should lead us to a further investigation of genre, which is a topic that is often oversimplified in young-Earth literature to “if it isn’t poetry, it must be historical narrative.” If we get the genre of a passage incorrect, then it is likely we will get the interpretation of the passage at least partly incorrect. Many scholars do not believe the genre is “historical narrative,” so it is quite possible that the young-Earth interpretation is incorrect as well. I could write about letting Scripture interpret Scripture in regards to Genesis 1, but will focus instead on the flood account of Genesis 6-9. One of the reasons I believe Noah’s flood may have been local rather than global in extent is by using Scripture to interpret Scripture. In almost all cases where universal language is used in the Old Testament, the meaning is something other than the superficial, literalistic sense. In other words, “all the earth” usually means something less than “all the earth” in the Bible. To give just one example, we are told in 1 Kings 18:10 that, “As the Lord your God lives, there is no nation or kingdom where my lord [Ahab] has not sent to seek you [Elijah].” No commentator will tell you that this passage must be taken literally to mean that Ahab sent people to all nations from the Aborigines to the Zulus to find Elijah. The literal words say “no nation or kingdom” without any sort of qualifier, but just about any reader, ancient or modern, will read this universal statement as meaning “no nation or kingdom in this area” rather than in the entire Earth. If non-universal language is the norm in the Old Testament—and it is—then we should be at least open to considering this to be the case in Genesis 6-9 as well. Once again, as an old-Earth Christian, my wording of this header is the same as in the young-Earth article. Once again, as an old-Earth Christian, I believe that Genesis is history. Many Christian doctrines are tied to the historical events of Genesis. Not a single one of these doctrines, however, depends on Earth being 6000 years old. “In the beginning, God created the heavens and the earth.” This is a historical statement for us as Christians whether this happened in roughly 4000 B.C., or 13.8 billion years ago. The alphabet portion of the New England Primer began with “In Adam’s fall we sinned all.” This statement holds true whether Earth is 6000 years old or 4.6 billion years old. One final time, I have left the wording of this point intact from the article by the producer of Is Genesis History? Presuppositional apologetics is based on the recognition that no one enters into an investigation with an empty mind, and that we all have prejudices that make us open to certain arguments, and closed to others. In other words, there are no neutral positions on any topic. As Christians, we carry certain assumptions about the nature of God’s Word and God’s world into investigations. We don’t take this approach because we have “blind faith,” but because the Holy Spirit has worked those convictions into our hearts and minds, and because we recognize that this approach seems reasonable in light of what we know about the world around us. 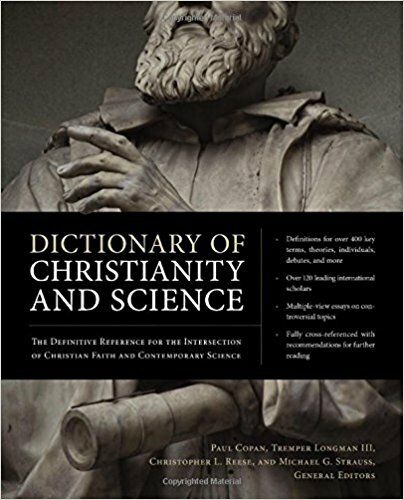 My basic presupposition as I approach the study of the relationship between the Bible and science is that all truth is God’s truth, whether it be truth revealed in God’s Word, or truth revealed in God’s world. If there seems to be a conflict between these two revelations, then either we do not correctly understand God’s Word, or we do not correctly understand God’s world (or maybe a bit of both). In the end, if we come to a point of complete understanding, there will be no conflict. Sometimes young-Earth scholars express their presuppositional approach with a question such as, “Will you believe the infallible words of the Bible, or the fallible words of scientists?” This question assumes that there are some truths that are more true than other truths (as if one true thing can be truer than another true thing). It also makes the assumption that the young-Earth interpretation itself is infallible, when in reality our interpretations can be wrong. Fallible people misread God’s infallible Word, and fallible people misread God’s good creation. It is one thing to have a presupposition that the God of the universe has revealed himself in his inerrant Word; it is a mistake to start with the presupposition that one’s own interpretation, such as the young-Earth interpretation of Genesis 1, is also inerrant. In his closing section, Thomas Purifoy quotes D. Martin Lloyd-Jones: “I have no gospel unless Genesis is history.” I can say, “Amen” to that. And who committed a real first sin. spiritual and physical death for all of humanity. And as the ruler and redeemer of all creation. This creed is rooted in the historical events of Genesis. I could say much more, of course, but have already written a far longer article than what I had hoped. This essay is not a comprehensive defense of any given old-Earth interpretation. Reformed Christians (as well as Christians from other traditions) who hold to the inerrancy of Scripture fall on both sides of the young-Earth/old-Earth debate. I hope that I have demonstrated that there are valid answers to the theological concerns that my young-Earth brothers and sisters in Christ have about the consequences of accepting an ancient creation. I have a great amount of respect for both Del Tackett (who also narrated The Truth Project series) and Thomas Purifoy. Thomas did a tremendous amount of research in preparation for producing Is Genesis History? He read weighty books from both sides of the debate (but it seems only got personal input from the young-Earth side; I could be wrong) I have had some correspondence with Thomas (Facebook messenger), and he has always been gracious and articulate. I just think he is wrong, and that young-Earth creationism is neither biblically necessary nor scientifically credible. I am a member of a church in the Presbyterian Church in America (PCA), a theologically-conservative Reformed denomination that affirms biblical inerrancy (Del Tackett, the narrator of Is Genesis History?, is an elder within the PCA). The PCA as a denomination takes no official stand on the age of the Earth, and has produced an excellent document outlining both young-Earth and old-Earth interpretations of Genesis that are acceptable within the denomination. 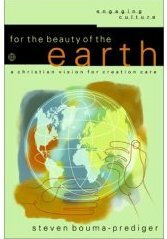 This document is the Report of the Creation Study Committee. I highly recommend this report! It is refreshing that Thomas Purifoy acknowledges, “I realize that intelligent and godly Reformed Christians hold to [old-Earth] models of Earth history.” In the past, the list of old-Earth Reformed scholars and pastors included B.B. Warfield, Charles Spurgeon, and Francis Schaeffer. In the present, this list includes Justin Taylor, Michael Horton, and John Piper. Genesis 2:2-3 — God’s rest and the age of the Earth — There are good Biblical reasons for asserting that “day” in Genesis 1 can mean something other than a literal day. Genesis 6:1-9:17 — Reading the account of Noah’s (local) flood — A few valid translation changes makes the Flood account in Genesis read much less like a worldwide catastrophe. Genesis 7:19 — “All the earth” doesn’t always mean “all the earth” — Did the Chinese send people to Egypt to purchase grain from Joseph? The Pleistocene is not in the Bible — A critique of “When Was the Ice Age in Biblical History?” — Another bad answer from Answers in Genesis. This time it is about cramming multiple ice ages (and everything else that has happened in the Quaternary Period) and all human prehistory and history before Abraham into the period between 2250 and 2000 B.C. Six bad arguments from Answers in Genesis (Part 1) — Fossils at the top of mountains not evidence for a global flood. 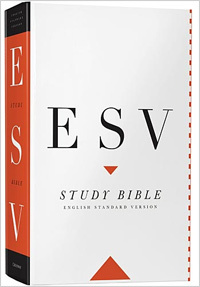 The ESV Study Bible is written from a Reformed perspective, and I have written a four-part series about the study notes. The study notes on Genesis, creation, and the flood include both young-Earth and old-Earth interpretations. One of the links I share most often with my young-Earth friends is the one about dinosaurs (actually the lack thereof) in the book of Job. Another excellent article is PCA Geologists on the Antiquity of the Earth, written by eight geologists who are members of churches in the Reformed and theologically-conservative Presbyterian Church in America. The geological evidence presented by young-Earth creationists, such as in Is Genesis History? has failed to convince most Christian geologists, even those who hold to a high view of Scripture. One would think that if the arguments are even slightly compelling, that Christian geologists would jump in large numbers to the young-Earth side. They don’t. Bible quotes are from the English Standard Version (ESV). The Facebook discussion for this article is here. On two nights this past week (Nov 13 and 16, 2017), the young-Earth creationist (YEC) documentary Genesis: Paradise Lost was shown in select movie theaters across America. I spent $15 (the most I have ever spent for a movie) and sat in the upper corner of the theater where there was a little light that enabled me to scribble some notes. This movie included speakers from Answers in Genesis as well as other institutions, and will undoubtedly be a fixture in the YEC segment of Evangelical Christianity for quite a while. Cutting-edge cinematography meets proven science and biblical accuracy to deliver GENESIS: PARADISE LOST, bringing the first book of the Bible to life in both 2D and 3D formats on the big screen. Stunning visual effects and field research invite audiences to explore the much-studied and debated opening chapters of the Bible. This highly-anticipated movie event will show in cinemas nationwide on Monday, November 13 at 7:00 p.m. local time. GENESIS: PARADISE LOST will entertain and educate as an event for the whole family. The digital animation is interwoven with insightful commentary from accredited scientists and educators such as Dr. Charles Jackson and Dr. Georgia Purdom, and popular speakers such as Ken Ham and Ray Comfort. Cultural apologist Dr. Voddie Baucham, Jr.’s deep booming voice serves as Genesis’ “unseen narrator” whose vocal presence gives the visual images deeper meaning and life. 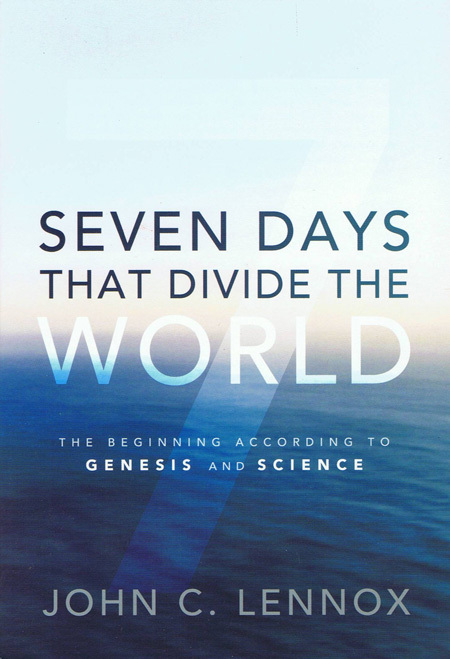 The bulk of the documentary alternated between narration of portions of Genesis 1-3 and short statements by various YEC scientists, Bible scholars, and teachers. The narration (slow and deep) was accompanied by computer animation of the various creative acts of God, such as the creation of light, the separation of land and water, the separation of waters above from waters below, the emergence of plants and animals, and the creation of Adam and Eve. The style of the speakers was what I would call “flash bang grenade.” One speaker would say something, then another would say something related, and then another. For the most part, these were sound bites that those who are already YECs would agree with, rather than a presentation of any sort of sustained biblical or scientific argument. The segments flowed from one part of Genesis 1-3 to another, but the arguments still seemed to be somewhat disconnected. There was nothing in these sound-bite arguments that convinced me, as an old-Earth Christian, that the Bible requires a young Earth, or that science points to a young Earth. The movie ended with a presentation of the gospel: The bad news of sin, and the good news of salvation through Jesus Christ. YEC documentaries have come a long way from the days of Dr. Dino videos. The animations of the events of creation were all well done. There were viewpoints expressed by the speakers that I agreed with. For example, I agree that naturalism is insufficient to explain the origin of the universe, and probably the origin of life as well. I rejoice to hear the gospel presented, even when it is presented in a context that I believe is highly problematic (Philippians 1:18). The bad news is that humans are sinful and in rebellion against God. Because of Adam’s sin, and because of our own sin, we live in a world of misery and death rather than flourishing and life. God’s solution is Jesus Christ, who died on the cross for our sins and rose from the dead, that those who put their faith in him can be restored to what God intended for humanity back in the Garden of Eden. I agree with all of this, and none of it depends on Earth being only 6,000 years old. 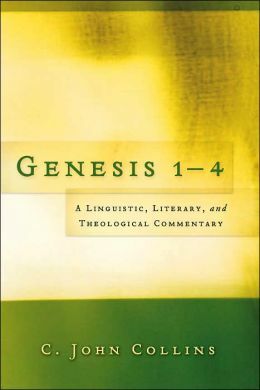 It was dogmatically stated that Genesis 1 has the genre of historical narrative, and that the text must therefore be read “literally.” Many inerrancy-affirming, Evangelical Old Testament scholars would disagree that the genre of Genesis 1 is “historical narrative.” The problem is that many YEC scholars oversimplify the issue by presenting the only genre options as historical narrative or poetry, when in fact there are a number of genres in the Old Testament. Obviously, Genesis 1 is not poetry in the same sense that Psalms or Proverbs are poetry. But when reading Genesis 1, even in English, it is clear that Genesis 1 has patterns that are not present in standard Hebrew historical narrative passages, such as in most of the rest of Genesis, or the historical portions of Exodus through 2 Chronicles. 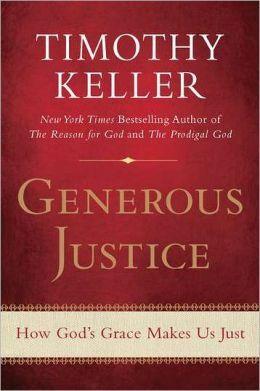 Old Testament scholar C. John Collins calls the genre of Genesis 1:1-2:4 “exalted prose narrative,” indicating that there is something much higher going on in this section than in more ordinary narrative passages. The vocabulary is more exalted, there are analogies, and the structure of the opening passage of Genesis is perhaps unique in ancient Hebrew literature. If interpreters don’t get the genre of the passage correct—and YECs may indeed be getting it wrong—then it is likely that the final interpretation will also be wrong. It was also stated that Jesus believed that Genesis is real history, with the implication that Jesus was endorsing the young-Earth interpretation. I agree that Jesus affirmed the historicity of Adam, and of Noah and the flood. As an old-Earth Christian, I therefore also believe in a real Adam and Eve in a real garden, committing a real sin, and in a real Noah who rode out a real flood in a real boat with real animals. None of this requires, however, a young Earth or a global flood. The movie did not present the Garden of Eden as it is described in the Bible. Genesis 2 describes the garden as being at a specific location on Earth, identified as being in the Ancient Near East by the four rivers, including the Tigris and Euphrates. Genesis never describes the entire Earth as being the Garden of Eden. Instead, the garden seems to be a protected place (with Adam and Eve having a role in its protection), with the rest of the Earth being a wild place in need of subduing. Nevertheless, the film stated that the entire planet was lush from pole to pole; a paradise in its golden age in which animals could grow to enormous sizes. But this is not what the Bible says. The movie stated that there are immense amounts of evidence for humans and dinosaurs living together. The speaker mentioned dinosaur-like petroglyphs, and references to dragons in the historical records of many cultures. In reality, I believe there is no convincing evidence that humans and dinosaurs ever lived together. YECs commonly point to the creatures Behemoth and Leviathan in Job 40-41 as proof that dinosaurs lived back in the second millennium B.C. Much more sober Bible commentators have better, more natural explanations for the identity of these creatures. A brief explanation of the identity of Behemoth and Leviathan can be found in the notes of the ESV Study Bible. The presentation on radiometric dating wasn’t even all that consistent with the largest YEC research project on the topic, which was the RATE study. The film listed four assumptions that must be true for radiometric dating to work: 1) known initial concentrations of the parent and 2) daughter nuclides, 3) a constant decay rate, and 4) a closed system. So far so good. The RATE study concluded that, in most cases, assumptions 1, 2, and 4 can indeed be demonstrated, which was not mentioned in the movie. The RATE scientists, therefore, focused on questioning assumption #3, the decay rate. The documentary presented lutetium-176 (I think that was the nuclide) as an example of a radioactive nuclide for which the decay rate can be changed dramatically in a laboratory. What they didn’t tell you is that lutetium-176 has to be completely ionized in a plasma at a temperature of millions of degrees for this to happen. This is hardly applicable to the conditions on Earth during a flood or at any other time. The speakers in the film also didn’t mention that accelerating radioactive decay millions of times faster would release enough heat to boil Earth’s oceans and melt part of Earth’s crust as well. It was also stated that the geologic column (Precambrian—Cambrian—Ordovician—Silurian—etc.) is the product of circular reasoning. 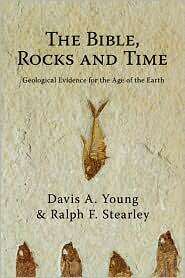 This also is a common YEC argument: that rocks are dated by fossils, but that fossils are dated by rocks. This is a faulty argument, and confuses inductive reasoning with circular reasoning. The concept of the geologic column, as the better YECs acknowledge, reflects a real order that is observed in nature. Rock layers, in undisturbed areas, always occur in the order Cambrian—Ordovician—Silurian—Devonian…, not in some mixed-up order like Triassic—Ordovician—Jurassic—Silurian. Always. The geologic column is a product of inductive, not circular, reasoning. I picked just six out of a couple dozen topics I could have chosen for critique. Note that I have spent more time on the Biblical problems with the movie than with the scientific problems. I believe that young-Earth creationism is not only faulty in terms of science, but a stretch in some ways of the text of Genesis. The people involved in making Genesis: Paradise Lost, whether the producers and backers, or those who spoke in the film, are sincere Christians with a love for God’s Word, and a desire to see people come to faith in Christ. I commend them for their love and zeal. I am convinced, however that the young-Earth interpretation is an over-reading of the text of Genesis, which actually forces many things into the Bible that are not there. There are a number of reasons to suspect that the intention of Moses was not to give us a geology lesson on the age of the Earth or the extent and work of Noah’s flood. In any case, Genesis says nothing about the origin of the igneous, sedimentary, and metamorphic rocks of Earth crust; volcanoes, canyons, glaciers, and many other geological wonders of God’s creation. Furthermore, the scientific arguments presented in the movie, on topics such as radiometric dating, deposition of sediments, plate tectonics, comets, planetary surfaces, fossils, or fossilized poop, are just about all unsupportable. Most of these features cannot be explained in the young-Earth framework. For example, it was stated that it would impossible for things like worms or feces to be preserved in the fossil record by the slow deposition of sediments. I actually see no reason why an occasional worm or turd could not be preserved in certain depositional environments, but cannot imagine how worms and piles of excrement could survive being suspended in a watery slew of abrasive sediments in a catastrophic flood and then be deposited in just the right part of the geologic column (dinosaur poop in the Mesozoic; elephant poop in the Cenozoic) without being obliterated. Very few Christian geologists are convinced by YEC arguments, either for the age of the Earth, or the origin of the rocks of Earth’s crust. I believe that the movie presents bad science based on a questionable interpretation of Genesis. Bad science, no matter how well-intended, is bad apologetics, and bad apologetics drives people away from Christianity. Genesis: Paradise Lost is just part one of a two-part series. Part one focused on Genesis 1-3, so I assume part two will focus on Noah’s flood in Genesis 6-9. None of the quotes should be taken as direct quotes, as I was scribbling notes in a rather dim setting. I haven’t written a review yet for the other 2017 YEC documentary, which was Is Genesis History? I would say that Is Genesis History? makes a much stronger case for young-Earth creationism, as it presents sustained arguments rather than a string of sound bites. Not that I was convinced by either the Biblical or the scientific arguments in Is Genesis History? either.